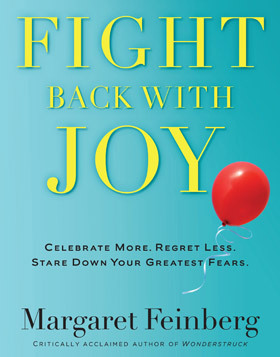 MARGARET FEINBERG (Author and Speaker): A lot of people see joy as a feeling. And I believe that joy is a spectrum of feelings, actions and emotions. But even when you don’t feel joy, you can still act in joy and respond in joy. LAWTON: Feinberg is a popular speaker at Christian conferences, known for her lighthearted style. She appears before tens of thousands of people every year. FEINBERG: (in speech) People would say well happiness was based on circumstance but joy is not. The problem with that is that most of the people who defined it that way hadn’t smiled since 1972. LAWTON: She’s written more than 40 inspirational books, has an active social media presence, and has been called a top up-and-coming evangelical leader. Feinberg was born to a Christian mother and a Jewish father who came to embrace Jesus. Her family made surf boards in Florida. They attended a variety of churches, from evangelical to mainline and charismatic. She loved to write, and as her articles and books were published, she increasingly was asked to speak at churches and conferences. She describes it as a strange and sometimes daunting responsibility. FEINBERG: So many people who come in are at a place where they need that word of encouragement, that one thing that says, “Hang on for just one second longer,” and crafting content and words that will give them that next breath and that bit of hope, it matters. But it’s not easy. LAWTON: In 2013, Feinberg was working on a book about joy. 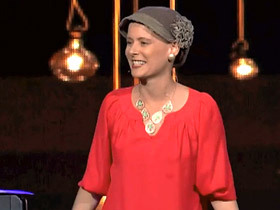 She felt a lump in her breast and at the age of 39, she was diagnosed with breast cancer. FEINBERG: And I spent the next 18 months in really difficult, horrendous, torture-some treatment and shifting from seeking or pursuing or activating joy in the relatively good times of life to trying to find it in the deepest, darkest, most difficult ones. LAWTON: She suffered severe complications, including a near fatal reaction to chemotherapy. As much as she could, Feinberg tried to maintain her speaking schedule. FEINBERG: I would step on stages barefoot without eyebrows or any hair. My husband would carry me down the concourses of airports in order to save up all the energy I had for the whole week to just talk for 45 minutes. What I saw was in the midst of that brokenness and that vulnerability there was a connection that I experienced with people that I’ve never seen before. LAWTON: Her continuing search for joy took on a new intensity. FEINBERG: It’s easy to get vacuumed into, and to reach for, what is quickest and easiest. I think sometimes that’s anger or bitterness or cynicism or slipping into a depression or a funk. And I think I’m starting to ask the question and as to my own journey, like, what if I reach for joy? What if we fought back with joy? LAWTON: Feinberg believes joy is a universal impulse. FEINBERG: Across the globe, humanity speaks so many different languages and yet scientists have noted that there’s one language that all of humanity shares and it is the language of laughter. We are meant to experience this thing called joy. LAWTON: As a Christian, she sees joy as a virtue derived from God. FEINBERG: It is that thing that I believe emanates out of an abiding sense of being fiercely loved by God. LAWTON: Feinberg also believes joy can be activated through practical means. She says for her, one of the first steps was an ancient Jewish grieving ritual. FEINBERG: I remember going in my bedroom and taking my blouse and making a small clip just like they often do at Jewish funerals and ripping it open and as I did, you know, speaking the words of Job and making that confession to God, and there was something that would happen in those rippings of the garment where grief was allowed to flow. I think like it’s meant to. I think one of the ways that we fight back with joy is that we learn to grieve well. LAWTON: She says she began developing a series of practical tactics. FEINBERG: Things like practicing gratitude, sometimes when I didn’t feel like it, discovering the power of giving, even when you don’t feel like you have anything to give. 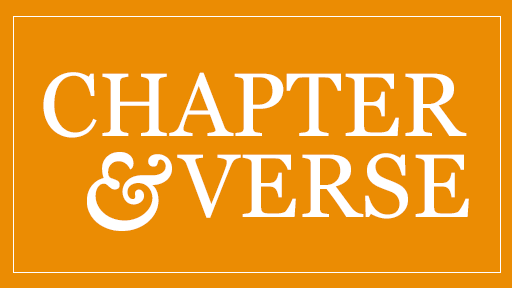 Offering you know, prayers, not just for myself but for other people, studying, as a Christian looking and finding passages in the Bible that I could just hold on to and provided some sort of grounding. LAWTON: She tries to surround herself with tangible reminders of joy, especially in her home. FEINBERG: This is our joy wall. And it’s just showing things that bring us great joy. My husband loves to cook. He’s a big fan of music. This is pictures of our family interacting. LAWTON: Other tangible symbols for her are red balloons, which have become her trademark. FEINBERG: With red balloons, you look up, you redirect your focus from downward and inward to outward and upward and hopefully, God-ward. LAWTON: Although she has received much support from the Christian community, Feinberg says she also received emails from some who suggested her cancer was because of her sin or a lack of faith. FEINBERG: There’s a facet of those who are Christians who want health and wealth and don’t want to go through hard times. The irony being is that the man that we follow, Jesus...it describes in the Scripture that on the night of his arrest, he begged the Father to take this cup from him, to take the cup of suffering from him, and it wasn’t removed. And so if it wasn’t taken from him, why would we think it would be taken from us? LAWTON: Feinberg says her personal journey has helped her gain a new understanding of the emotions of Holy Week. FEINBERG: You know, you look at the story of Jesus’ arrest and his trial and his suffering, and it looks like game over, and there is no hope, and yet it’s precisely in that, that God pulls back the veil of heaven and does a holy ta-da, that we see the power and the splendor that I think even in the darkest times, even in the most hopeless times, even in the greatest pain, that God is up to something good. LAWTON: Feinberg’s doctors have declared her cancer-free. She still suffers from complications, including chronic pain, although says she is getting stronger every day. She emphasizes that joy does not mean a candy-coated happy ending. FEINBERG: Some people look and they say, “Well you know, you, you had favorable results or treatment and I didn’t.” And I have those friends and I’m walking that painful journey with them even now, and I struggle with that. I struggle with why some suffer and some are healed. LAWTON: As a Christian, she says practicing defiant joy is a declaration that darkness does not—and will not—win. FEINBERG: Perhaps it’s when it’s darkest that joy becomes the most important and the most powerful. I mean this is not just a joy like “Wahoo, it’s a nice day!” This is a defiant joy. This is a joy that stands up and says, “Even though in the midst of darkness and loss, I will still fight back and rejoice." I’m Kim Lawton in Denver. As Christians reflected on suffering, mourning, and hope during the days leading up to Easter, we spoke with popular evangelical author and speaker Margaret Feinberg about moving from grief to joy. In her new book “Fight Back with Joy,” she describes her own experience of joy in the face of breast cancer. Click here to read an excerpt. Wasn’t bereavement the antithesis of joy? Stumbling across the words of Jesus in one of his most famous sermons, I spotted something I’d never noticed. The Greek word for “blessed is makarios and can be translated “happy” or “fortunate.” Jesus describes the down-and-out as the lucky ones. Such words seem counterintuitive. After all, tears are often seen as a sign of weakness—the crinkly white flag of giving up. Jesus declares that those strong enough to allow the sobs to escape are among the fortunate. The Son of God gives the quivering permission to mourn. Perhaps we should not be surprised. Many of Israel’s prophets were poets. Their stark words evoked weeping. Those tears provided a pathway to relinquishment. Through mourning, the people released the way things were so they could embrace how things might be. They traded their exasperation for expectation. A friend of mine talks about grief and the process of mourning as if it’s a river. He points out that there’s more to a river than meets the eye. The river’s current smooths the rough edges of stones and provides an outlet for fish to travel to mating grounds. Biochemical processes degrade and decompose organic waste. The rushing water flushes away debris. So it is with the river called mourning. If you poke your head beneath the rippled surface. You see deposits being washed away that long needed to be released. Sometimes the river rushes unexpectedly, knocking you off your feet; other times it laps gently around your ankles. And if you pause long enough, you discover small treasures worthy of pocketing. My friend’s image awakened my to a truth I suspect Jesus knew: Mourning is a river that carries us to joy. Sometimes we need to give space for grief in order to make room for joy. No one is immune to sorrow, and only those who learn to grieve well can recapture the healing it brings. Just as light needs darkness, so joy needs grief. And just as night preceded morning, so joy comes in the mourning.